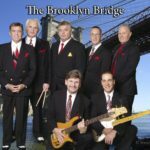 Rock & Roll Icons Who Have Served in the Military - Pop, Rock & Doo Wopp Live! 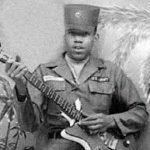 Jimi Hendrix enlisted in the Army in 1961, long before he became a household name. Hendrix was assigned to the 101st Airborne Division, where he was stationed at Fort Campbell, Kentucky. He was discharged in 1962 due to an injury and went on to play behind several rock and roll groups of the day, most notably Joey Dee & the Starliters. 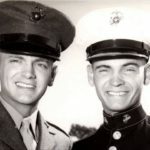 Phil and Don Everly spent 6 months in the U.S. Marine Corps Reserves starting in 1961. The Everlys did their basic training in San Diego and were then stationed at nearby Camp Pendleton. They famously appeared sporting buzzcuts, in uniform, on the Ed Sullivan show in 1962. 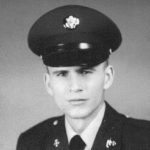 Bobby Rydell joined the national guard in 1964. While he never saw action, he did tour Vietnam in 1966, so close to combat in fact, that it could be heard while he entertained. Rydell recalls one marine comforting him not to worry, “that’s outgoing not incoming.” His recent book “Teen Idol on the Rocks” details his time serving the country. 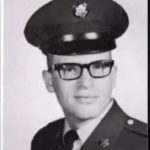 John Fogerty, the lead singer of Creedence Clearwater Revival, served in the Army Reserves during the Vietnam War. He wrote the song “Fortunate Son” thinking about “rich men making war and poor men having to fight them.” The song features the lyric “I ain’t no senator’s son”, which was inspired by David Eisenhower and Julie Nixon, cited by Fogerty as being insulated children of privilege. 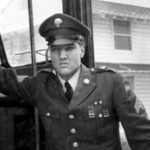 Elvis Presley completed Army basic training at Fort Hood in Texas in 1958 and was stationed in West Germany until 1960, when he would return to the United States as a Sergeant. While abroad, he met his future wife Priscilla, but would also become hooked on amphetamines after being introduced to the pills by an officer.